It is 3 in the afternoon and the unrelenting heat has forced everyone indoors in Madhya Pradesh's Mandsaur. The entire town looks deserted with an occasional auto rickshaw pacing up and down the streets looking for passengers, who are hard to find by. Most of the shops are still shut since traders have not yet gathered the courage to lift shutters considering the law and order situation in the town and surrounding areas still remains fragile. The nondescript town in the western part of Madhya Pradesh shot into national limelight after farmers protests turned violent which led to six farmers being killed by police. The town has not yet fully recovered from the mindless violence that threw life out of gear after which curfew was imposed and internet services were blocked across many districts in western Madhya Pradesh. However, some people, particularly women, have gathered courage to come out on streets trying to sell fruits, vegetables and snacks to eke out a living. 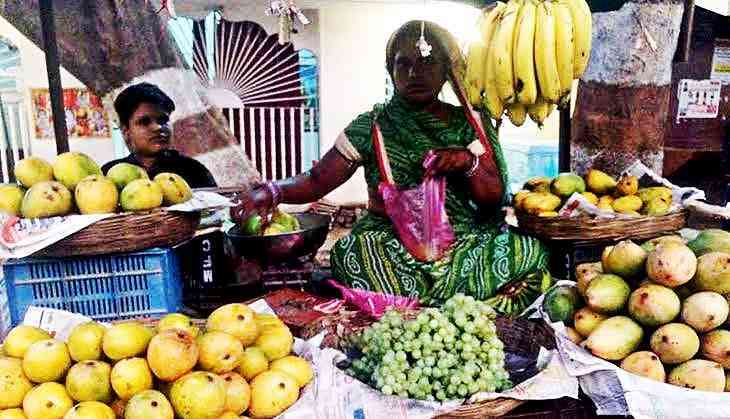 Women can be seen on railway and bus stations, sitting on top of their carts with heaps of different varieties of fruits placed beautifully next to each other. Radha Rani too is bracing the heat as she sits on top of her cart right next to Maharana Pratap Bus Stand. Sadly, she has had no buyers since morning and is not expecting to make any sale either in the next few hours. “People are still afraid to come out of their homes since the situation has not yet normalised as yet. If they don't come out, how will I sell anything. What will my children eat?” she asked. A mother of two, Radha lost her husband, a labourer, seven months ago and since then her life has become a “nightmare”. For the last eight days, she has been sitting at home after farmer protest turned violent and thousands of them laid siege to the town. On 5 June, locals say that a “mob of 4,000 to 5,000 men entered the city like a swarm of locusts destroying everything in their path. They ransacked shops and carts of unsuspecting traders, big and small, and didn't even spare the women”. Though Radha managed to hide her cart behind a tree, the protestors still managed to find it. They then threw all her fruits on the road and walked over them. “I pleaded them to not do so. I was crying and pleading but my pleas fell on deaf ears. They seemed to be enjoying my pain. What kind of a farmer destroys a poor woman's source of livelihood,” she said. Radha then informed that ever since her husband died, the responsibility of raising the children fell on her and it was then she decided to sell fruits. On a good day she made Rs 200 while there were days when she could manage only Rs 50. And, with this income she would buy groceries and other essential items for her family. But on 5 June, fruits worth Rs 7,000 were destroyed by protestors. “How would I pay back the seth (trader) who has asked me to pay Rs 50 everyday to compensate his losses. I have two young children and I am only one who earns. How can I pay the seth and yet take some money home. My husband is also dead,” she said as tears swelled up in her eyes. Her pain seemed unbearable and when asked if she has any other relatives who could help her, “My husband's parents are too old and poor and they live far away from here so it is me who has to take care of the family. My parents got me married and are too poor to care of us. How much can I do? I have to pay bills, feed the family, cook, pay for their education and then this happened,” she said looking totally helpless with how things have turned for her in the last few months. Adding to her misery, she hasn't made any earnings for more than a week since markets were shut and curfew was imposed. “I had taken some fruits in advance which were kept at home and now they are beginning to rot,” she said while showing some of her mangoes that had gone bad. 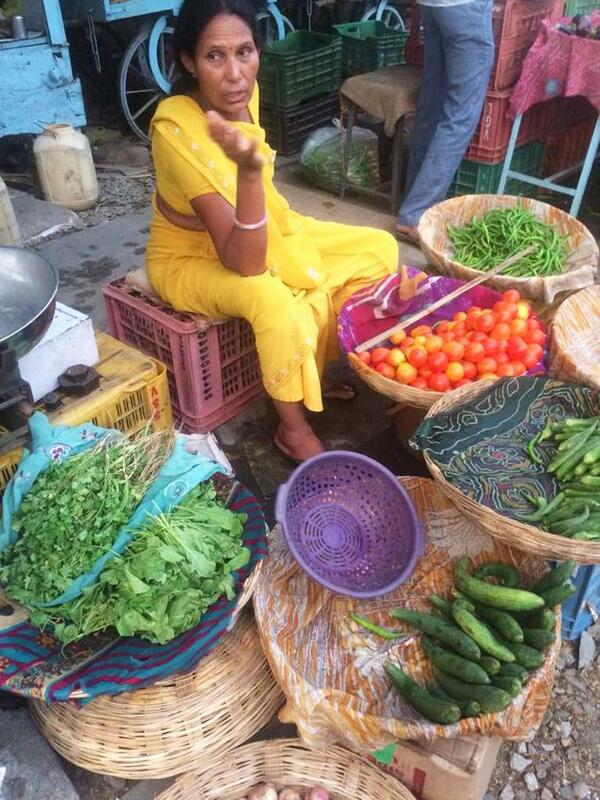 Every day in Mandsaur, scores of women like Radha take fruits and vegetables from traders, who also provide them a cart, and sell it in the market. For every kilo sold, they get Rs 5 and this is how most of them take care of their families. “What we eat in the evening depends on what we sell during the day,” claimed 60-year-old Ram Pyari at the old Mandsaur bus station. 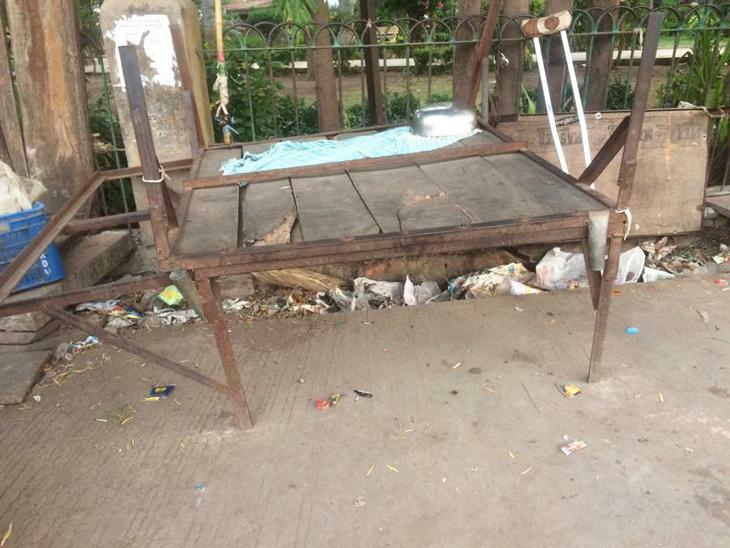 Unlike Radha, Pyari and others at the old bus station were taken by surprise when they reached here. “If we had any clues we would have hidden our carts but it happened within matter of seconds and even the police couldn't help us” she said. Pyari's photos were all over the newspapers after she decided to take on the protestors and hit them with sticks when they destroyed her fruits. Just like Radha, the 60-year-old is also the only bread winner in the family of three. Her husband, she said was good for nothing, while her only son has polio forcing her to make a living. 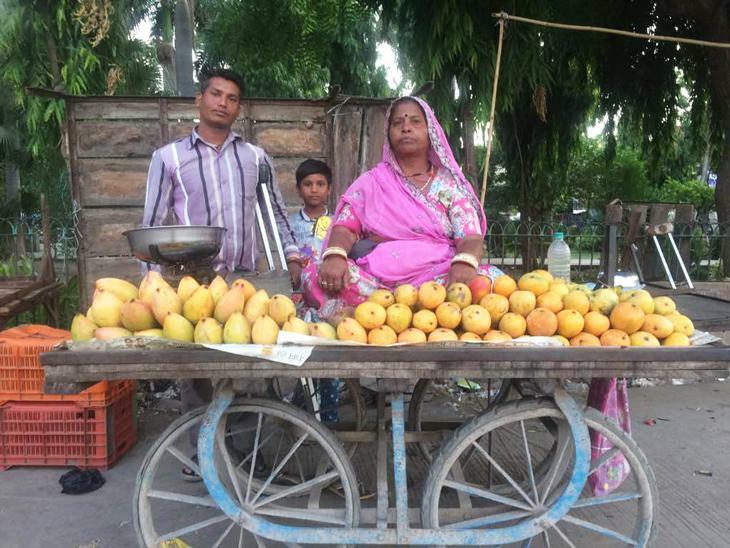 “I have been selling fruits at this bus stand for as long as I can remember. I was married at a very young age and since then I have been coming here everyday but never have I witnessed such violence in the past. How can they call themselves farmers? They are looting poor who eat what they earn on a daily basis,” she said. Her anger was directed towards one particular community – the Patidars-- who according to her have land, tractors, JCBs and grains at home. “I walk five kilometers everyday because I can't afford buses. We don't even have bicycles and they have everything and yet they destroyed our goods. 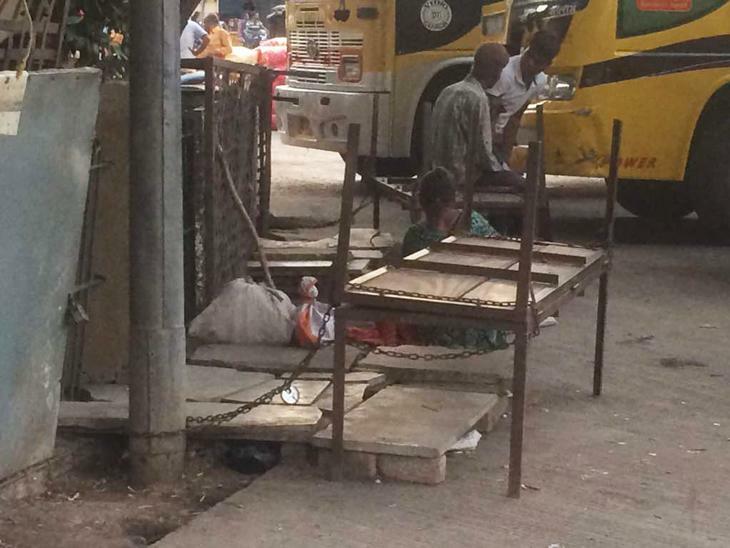 Forget about fruits, the broke my cart and even took away plastic crates,” she said. Pyari goes on to add that once she realised that they have come with the intent to destroy, she took out her stick that is used to ward off animals, and hit them hard. “That is when some photographer took her picture,” she said. The photo became a symbol of resistance for many who were at the receiving end of the farmer protest. “You should meet Pyari,” said everyone when this reporter went to ask for women who fought against the Patidars at the Nehru Bus Stand. “I had to fight. My survival depends on my cart. But, they hit me too and then I gave up. In the end, I ended by suffering losses worth Rs 15,000,” she said. Pyari did register a complaint with the police and is hoping that she too would be paid some compensation. “But, I don't have many hopes. Who cares for the poor? Everyone from the chief minister to media to local administration care about these rich Patidars,” she added. Praising her sahukar, she said, he has been very considerate to ask for Rs 50 everyday from whatever sale we make. “I don't know how long it would take to repay his debt but what other option do I have. He too lost several trucks during this agitation so I have nothing against him,” maintained Pyari. She then informed that the woman, who suffered the highest losses, has not yet returned out of fear. The empty carts were a testimony that many of these women have not yet recovered from the violence on 5 June. But Pyari said it won't be long. “After all they have families to feed. They will return but this incident has scarred us forever and I don't know whether we would ever have that kind of trust on the farmers anymore,” Pyari said.